Spelling. Are you looking for green crab? Green gram is a tautogram (all words start with the same letter). View more tautograms! What does green gram mean as a name of something? A bean from the seed of Vigna radiata, which is native to Bangladesh, India, one of many species recently moved from the genus Phaseolus to Vigna (still often seen cited as Phaseolus aureus or Phaseolus radiatus. (mung bean; black gram; golden gram; green gram; gram; mungo bean). An annual herb (Family Fabaceae) with green or yellow seeds, that is indigenous to Asia. Both the seeds and sprouts are edible. Use: Forage or green manure. Auric. green gram, phaseolus mungo: masuuru m., masoor dhal, lens culinaris: rat mugu, red 293. 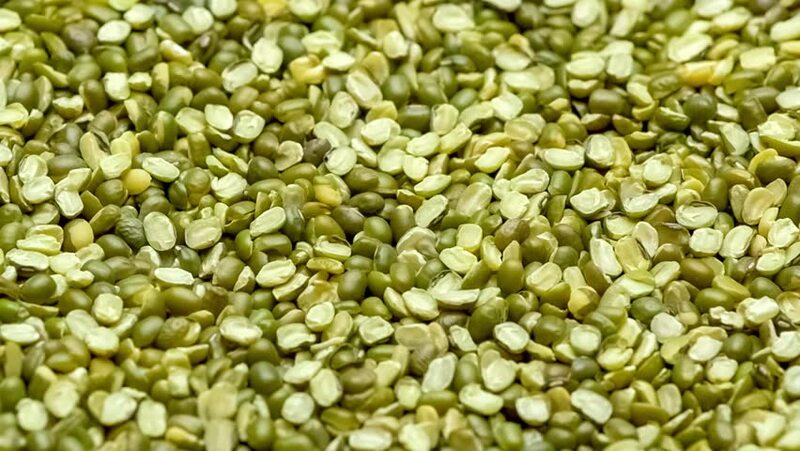 Green Gram Bean – See Mung Bean. Go to the thesaurus of green gram to find many related words and phrases!